I didn’t want to bore you with a week-by-week training diary so we’ll do these She Said, He Said updates every 2-3 weeks. (I turned it around to be She Said first, are you proud? #feminism innit). This post’s a bit long, soz. You can bugger off if you like, I won’t hold it against you. 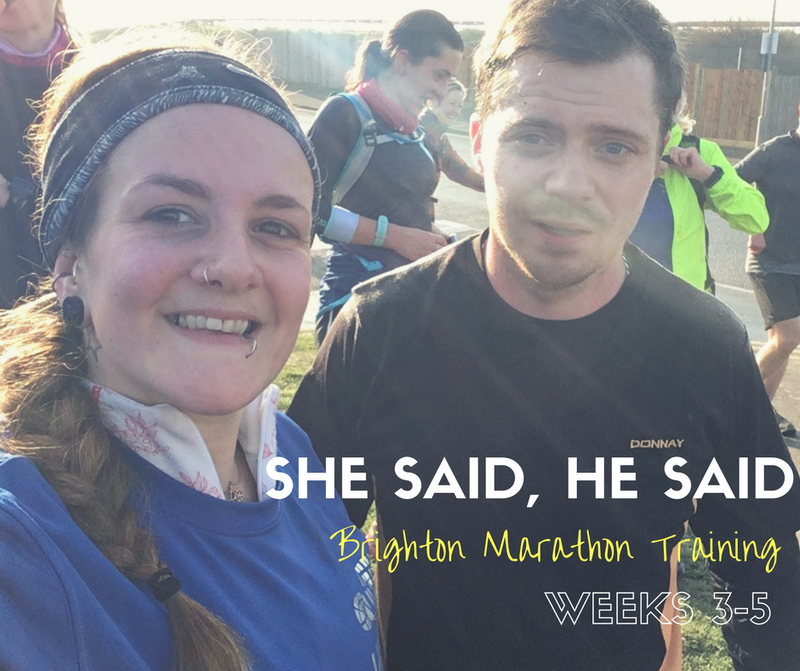 For anyone who’s not read these posts before, they’re basically both mine and Chris’ accounts of training for this year’s Brighton Marathon. He’s a beginner in marathon terms, but is naturally a fast runner so is training with the 3hr 15 RunBrighton training group He’s also not proving me right at all about how hard he’d find it, annoyingly, but he is a tree surgeon so is obvs already very strong. 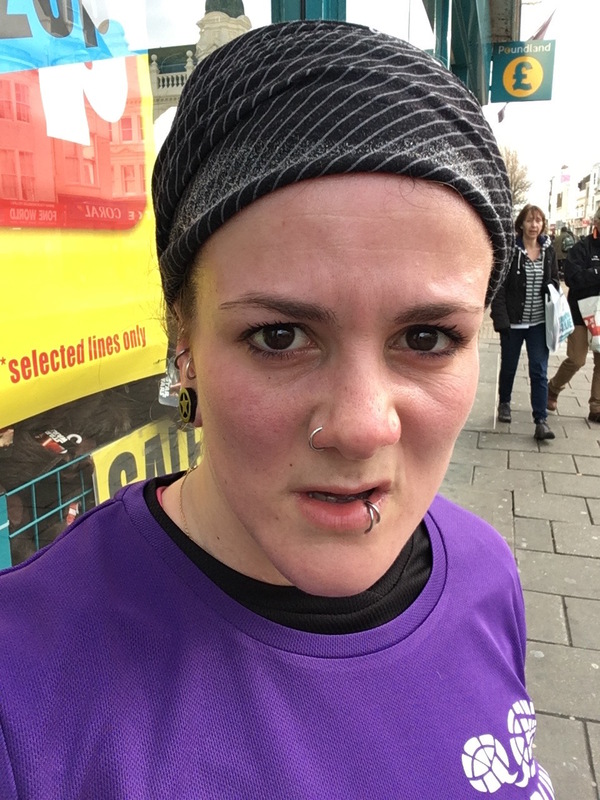 As you may know, this will be my third Brighton Marathon, and I’m aiming for a 4hr30 ideally, but anything under 4hr55 would be a PB so I’ll take whatever comes. Read about popping my marathon cherry here, and the second time when I finished strong and felt like superwoman here. Last week was a funny old week for me. On the plan it was a cut back on the midweek runs – there were still three runs on the plan, but all at an easy pace, instead of intervals or progression run. I took the term ‘cut back’ to an extreme and ran zero times until the weekend, and then had a right old binge in the running and cycling stakes. Read more about Saturday’s binge and why I’ve set myself some benchmarks for running and cycling fitness. But I did get to bounce around a Zumba class, start the week with a dollop of zen and a good old stretch at Monday AM yoga on my MoveGB trial. If you ever need a pick me up by the way, get yourself to a Zumba class – it’s where my fitness journey started! Sunday’s long run was a tough and hilly affair into a the most beautiful winter wonderland I’ve ever seen with the RunBrighton crew. Freezing cold, we marched into the hills on a crunchy carpet of frost, with the sun on our backs. It was the kind of run that makes you glad to be alive, whether you run, walk or crawl! Week 4 was a full one training-wise, with two PT sessions, a 40min steady run and beasty continuous hills session on the Saturday. Let me just say right now I really HATE continuous hills, it’s such an evil session. For those of you not in the know, you basically pick a hill, and run up and down it continuously, at threshold pace (including down at threshold pace), for a set of 6-10min intervals with 2min jog (or in my case, walk/stand and pant) recoveries. Booooooring. And hard. But worth doing if you want to build good leg strength and cardiovascular fitness. What a bummer. There was also a forced rest day due to first day period pains – I got angry and wrote this to mark the occasion. 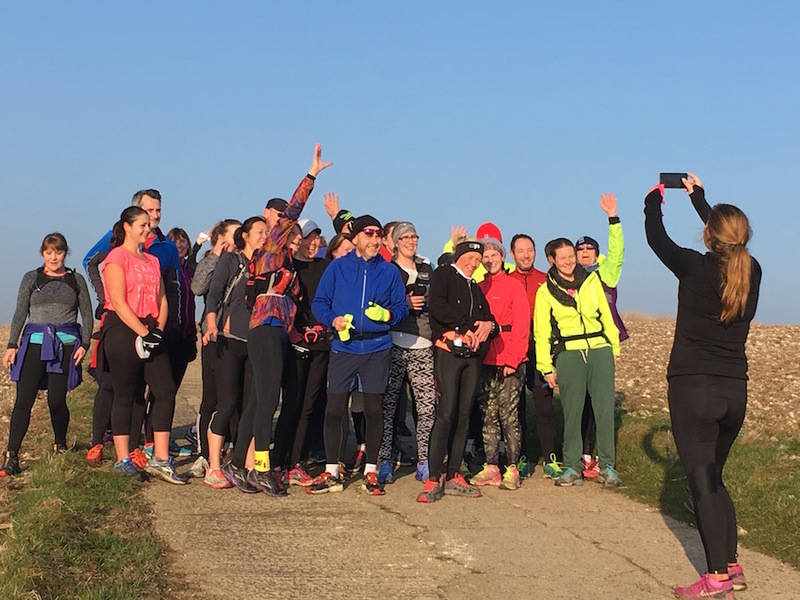 The long run was 2hours along the Adur with 3x10mins marathon pace segments at the end – and I got to double figures at last! Although, not sure if I would call the pace we were doing in those segments ‘marathon pace’ just yet, but we’ll see! 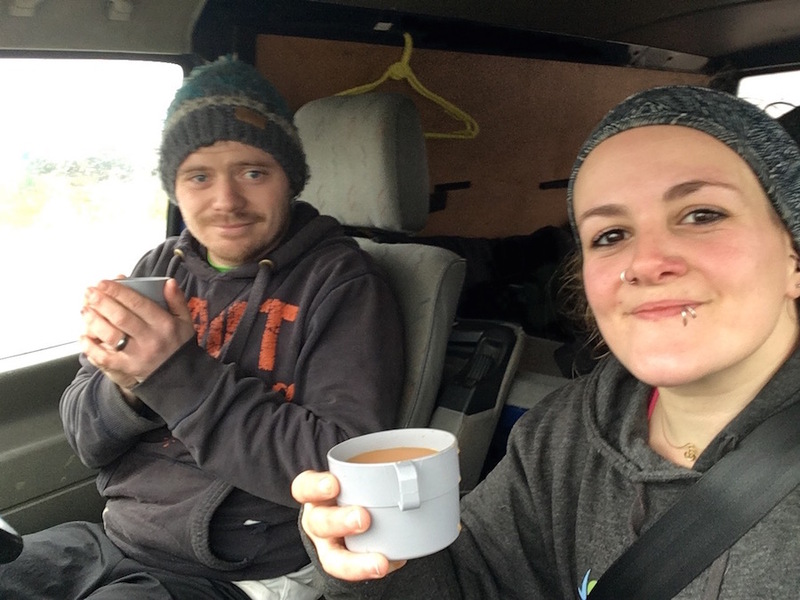 Week 3 seems so long ago I can’t even be bothered to write about it but I’ll give an upshot as I like to look back on these posts and see what I did. 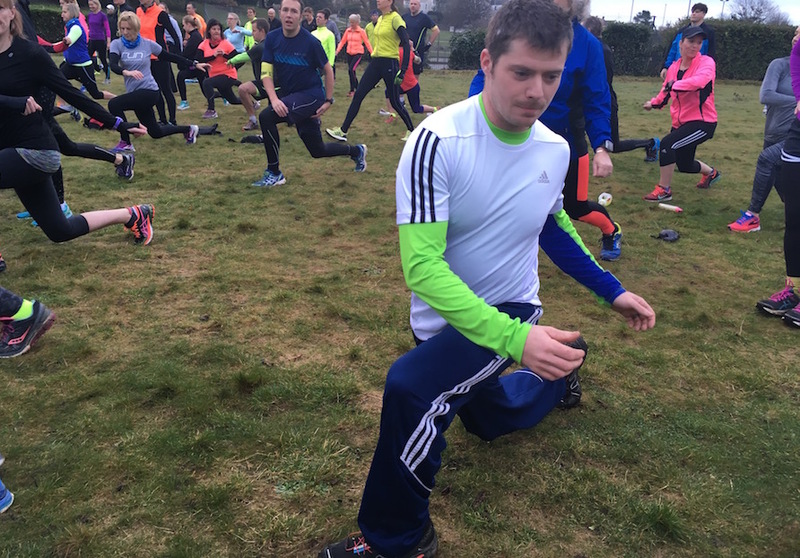 It was the first week back after Christmas and I threw myself head first into training, relishing the routine. Sat: 45mins continuous hills (3x10mins effort / 2mins jog recoveries) EUGH. 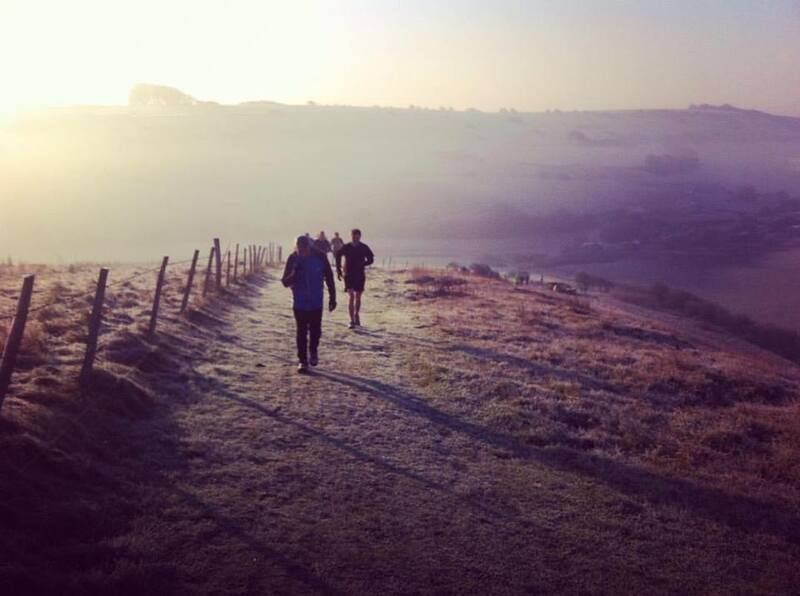 Sun: RunBrighton long run – the one with the hills! Now we’re coming to the end of week 6 and next week we’re in Barcelona for half of it so gonna have to do the long run there – EXCITED!! 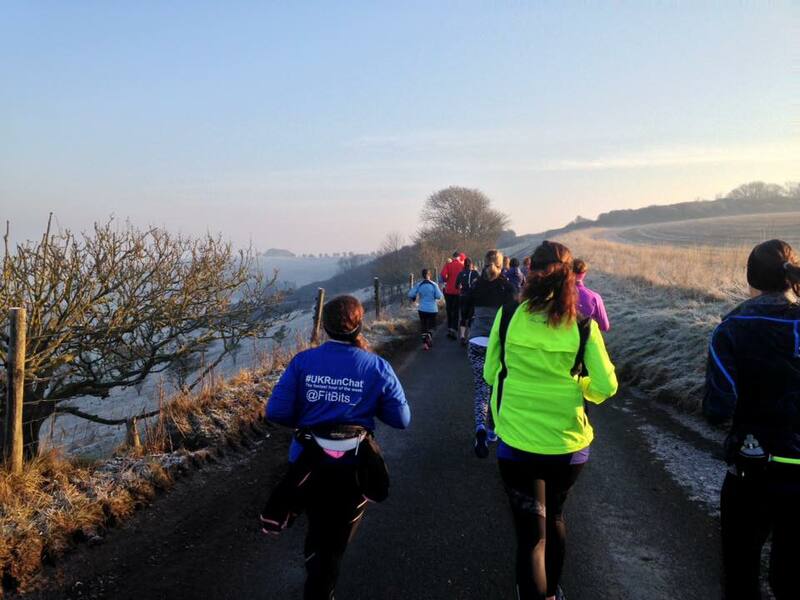 It was a cold and frosty morning, in the bleak mid-winter, but the sun was shining over us RunBrightoners. Sunday’s long run was very hilly, but relatively doable, and definitely enjoyable. I was glad the ground was frozen as I wore normal running shoes instead of trail shoes like everyone else in my group. There were so many steep hills – I really enjoy running on the Downs. I’ve also started training with a PT, which was very difficult. The hardest thing about the first session is you don’t know how fit you are until you do it. I swear the PT is a horrible, ex-army sadist who wanted to test me. We did circuits and it was one of the hardest things I’ve ever done. I’ve done bootcamp in the past, but that was nothing compared to the six station circuit training I had to do without a break. All in all it’s only 18 minutes of exercise but it completely and utterly knocked me for six. And I had to pay £50 for the bloody privilege. I didn’t have the strength after to take my t shirt off and put my swimming shorts on, I had to sit in the changing rooms shaking to recover for a few minutes! I did one length of breast stroke and thought, ‘d’you know what, I’m going for a jacuzzi’, and sat in there for half an hour. I’ve since had two more sessions, not as hard as the first but still pretty intense. I would never tell him it wasn’t that hard in case he ramps it up again. But I will say, at the moment it’s hard to fit it in with the running as bookings are random depending when he’s free so it’s difficult to have a routine. The long runs up the Downs have been really nice. We’ve had lots of miserable weather on the long runs apart from last Sunday, but at least it gives me a chance to bust out my new Gore jacket which keeps me nice and dry. I’ve been doing the midweek intervals, and PT, and swimming. I’ve got problems with my calves so haven’t done too much running as I feel my body still needs to recover from the long runs, and when busy climbing at work using tree spikes it’s affecting my lower legs, so running is enhancing the pain on my shins. 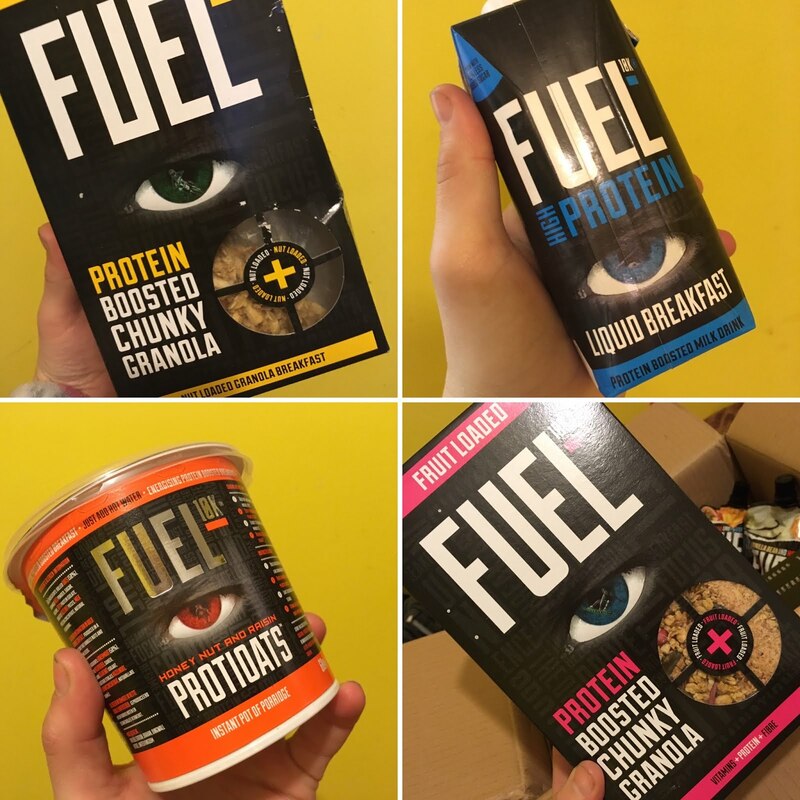 We’ve been sent some protein breakfast cereal and drinks from Fuel10k, and have been testing it out pre and post runs, plus for work. The Quark yoghurt pouches I’ve been using as a snack at work, which gives me a boost when climbing trees. I like the Protiflakes cereal, and the breakfast drinks are good, they’re quite thick and obviously very sweet, and porridge pots are always a winner for a quick breakfast before work. Tess loves the granola but says we can’t buy it as she’ll get addicted to the sugar. I’ve been practicing using gels on the long runs, they’re very sickly sweet. I’ve also learnt the sticky way that you must remember to squeeze it all out of the packet before you put the empty wrapper in your shorts. I’m glad I haven’t bonked yet on the long runs, but there’s still time. Oh, and a few days from the end of Dryathlon, and doing fine. Life has got a little bit more boring, definitely less interesting. What are you training for right now, or are you hibernating?